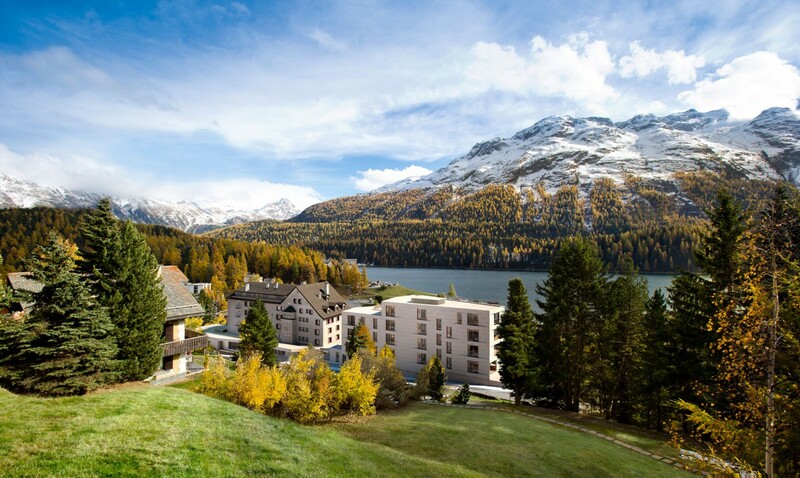 Built at the turn of the 20th century, La Margna Hotel has been a local institution in St. Moritz for generations. Its new owners, Grace Hotels, wanted to rebrand the hotel with an iconic renovation. Our challenge was to refresh the original architecture, while adding a modern extension for additional rooms and a spa. As well as accommodating strict building regulations and the constraints of a sloping site, the brief called for flexible hotel rooms that could be reconfigured as long-stay apartments. We came up with a design that connects old and new, by extending the base of the existing building. Set on a series of terraces that follow the natural incline, the unobtrusive extension is neatly integrated into the landscape. 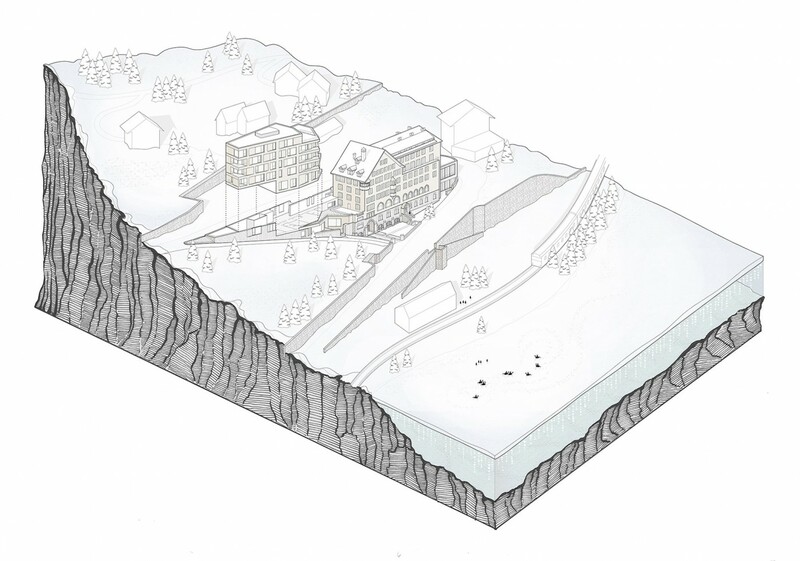 Inspired by natural fissures in the icy slopes, the building is broken into multiple levels oriented towards the views. Deliberately discreet, the new wing does not upstage the traditional architecture and stunning Alpine setting. Picture windows and adaptable, open-plan interiors create a sense of light and space; a welcome antidote to Switzerland’s dark, wood-clad chalets and opulent grand palaces. This is a hotel that feels like home.